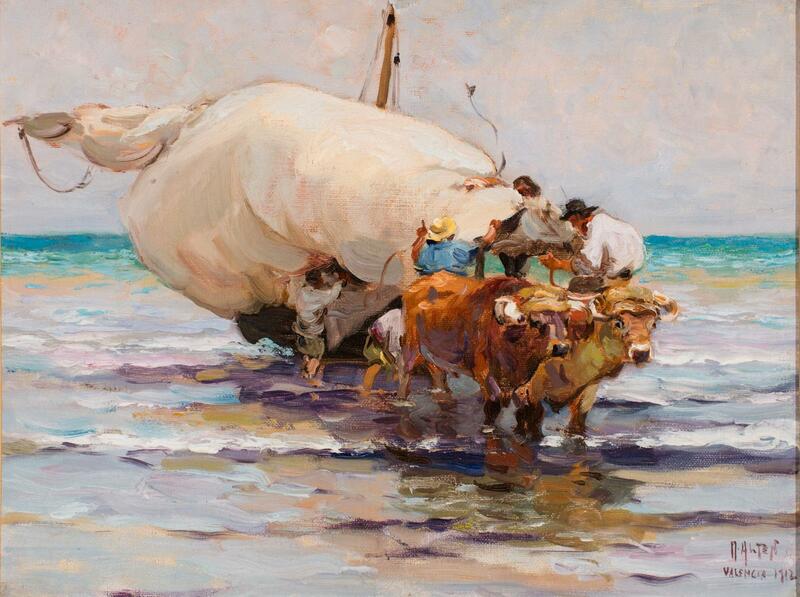 Alten spent much of his time in Spain painting Mediterranean coastal scenes. 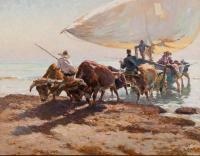 He made Cabanal his base while staying in Spain and from there travelled to Italy, Austria, and Germany. 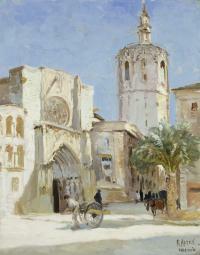 The works completed while in Spain reflect a much brighter and more sunlit palette than those done in Northern Europe. 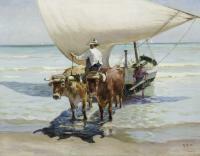 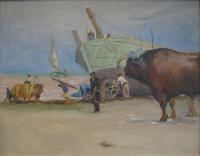 Two oxen pulling a boat onto a shoreline with people at the boat holding the sail.